I studied abroad in Chile in 2004 (good lord, it’s been almost 10 years!). While I was in Chile I fell in love with the people, the country and, of course, the food. I had a wonderful host family and an ideal experience, and I went on to make Chile the focus of my Master’s thesis (never finished that, but hey, life!). One of my language professors from that summer gave us packets of recipes to take home, in case we ever wanted to recreate Chilean delicacies. I recently rediscovered my copy, and made alfajores (pronounced all-fa-HOR-ace), a sandwich cookie with dulce de leche, or manjar as it’s called in Chile, as filling. Preheat oven to 350 degrees F. Butter a baking sheet and set aside. Beat the egg yolks until frothy. Add the liqueur and continue beating. 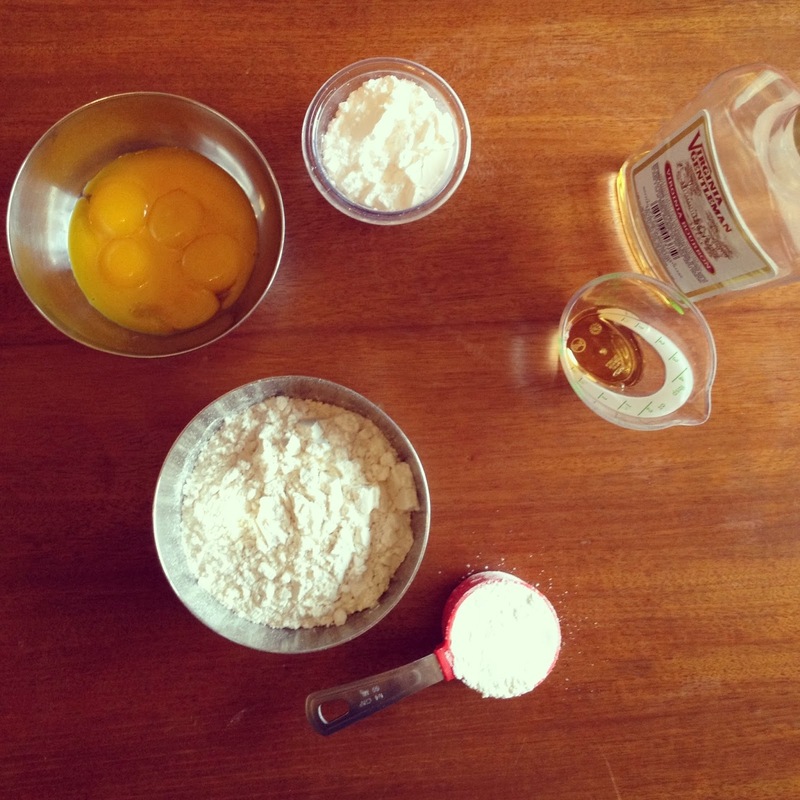 Sift in the flour, mix until combined, and then knead the dough until smooth. If dough won’t come together, add a splash of milk (or two) until it’s moist enough to work with. 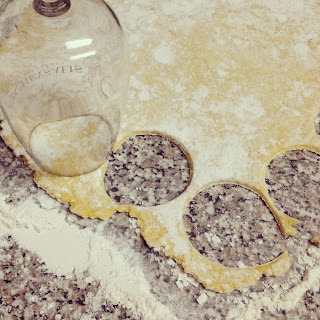 Roll the dough out very thin on a floured surface. Cut circles with the mouth of a glass. Puncture each one in the middle with a fork, and place on the buttered baking sheet. Bake for 7 minutes. Make sure to remove the cookies from the oven before they brown. Let cool completely. When cookies are room temperature, gently add a tablespoon of dulce de leche to one half. 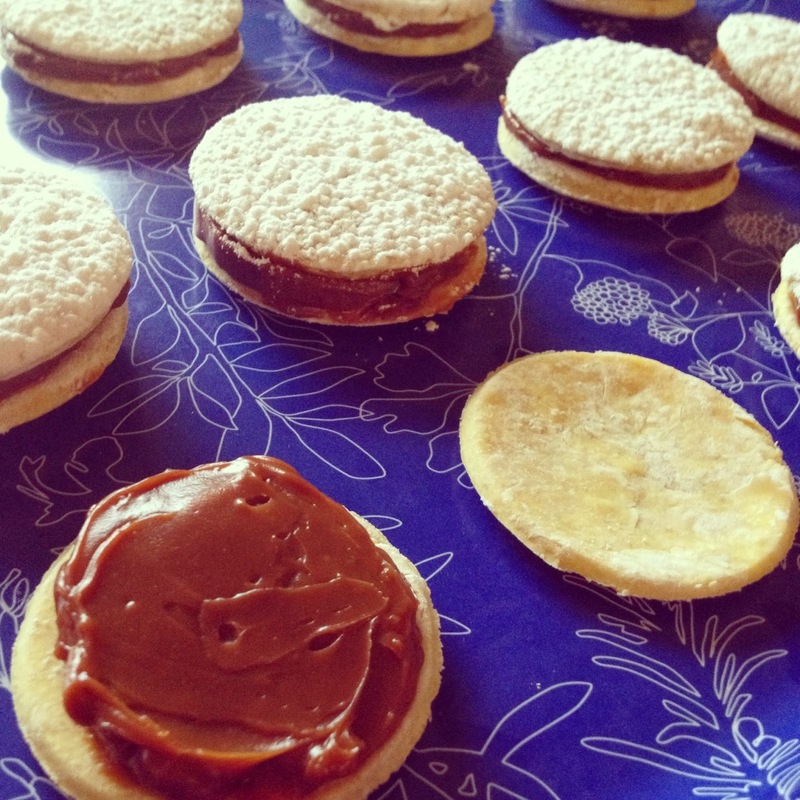 Cover with another cookie to form a sandwich. 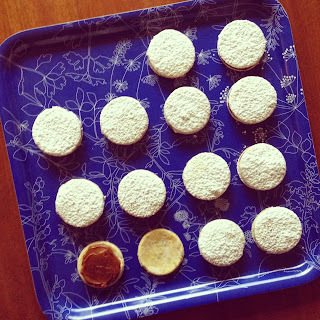 Sift powdered sugar over each cookie to taste. Makes about 14 cookies. This was my first attempt… and although the alfajores look a little ragged, they taste almost exactly like the ones I tried in Chile. Success! The cookie part is light and flaky, but the star of this delicious confection is the caramel-y dulce de leche. Add in powdered sugar that masks imperfections, and you have a pretty, simple and delightful cookie for special occasions. Note: these are best on the day they're made. Recommended for: a tasty addition to any tea cookie repertoire, the perfect dessert to end a winter meal, and as a rich, multi-textured treat to go with a fancy coffee drink. That sounds wonderful. What a great exotic and authentic treat! Whoa. Wow. Whoa. I want one. These sound divine. Thanks for the recipe! 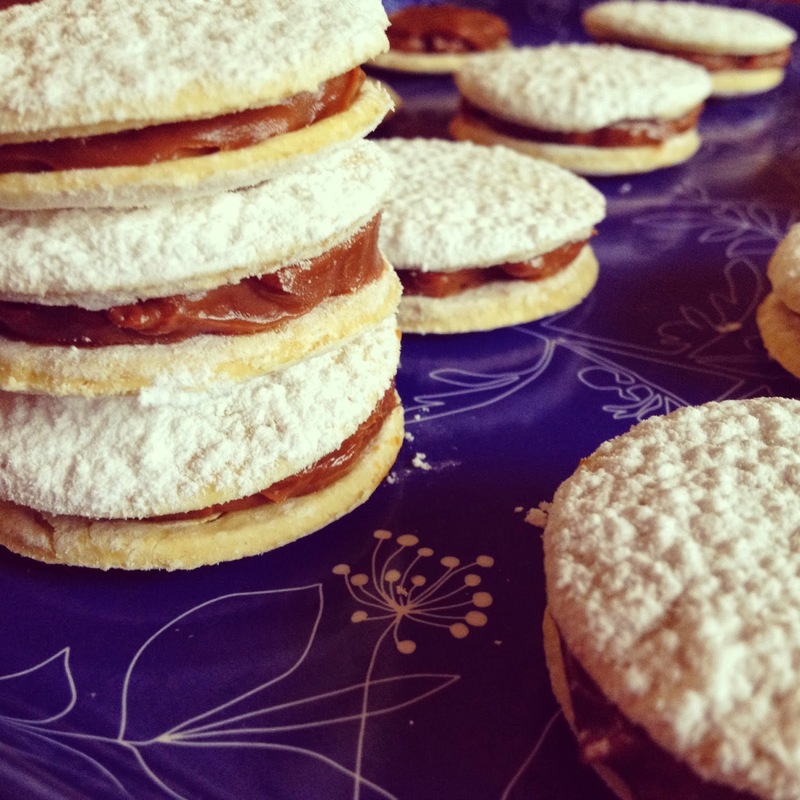 I love alfajores.